“Compact and agile, and with the FARMotion, it's now even more powerful and economical." The new SAME Argon range offers a total of 6 models, including two 2WD variants. All models feature state of the art FARMotion engines available with 4 power outputs from 65 to 97 HP, to accentuate the already outstanding agility of these machines. Both the tractor and trailer brake systems are also new, and are already compliant with the latest safety regulations. 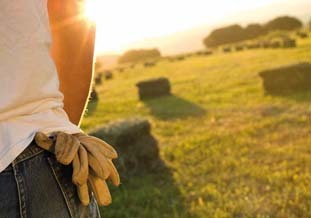 The FARMotion engine was developed specifically for agricultural applications. The unit powering the Argon 80 offers an impressive torque reserve of 43%, while the engine of the Argon 100 delivers 97 HP (71 kW) at just 2000 rpm. Boasting key features such as a common rail injection system with injection pressures up to 2000 bar, a turbocharger with intercooler and wastegate valve, and a viscostatic fan, and capable of meeting the requirements for Stage III B emissions compliance with a DOC catalytic converter only, the FARMotion is truly a state of the art engine. 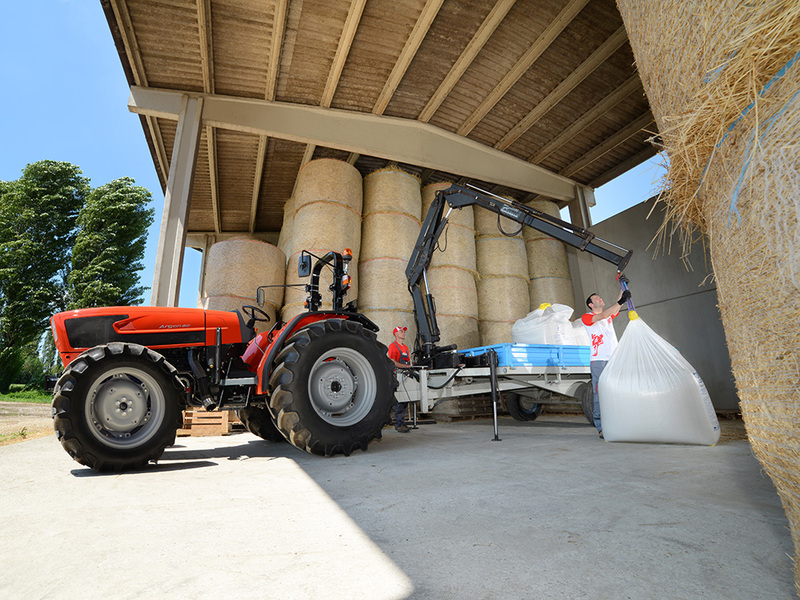 A 75 litre fuel tank lets these tractors work for long hours on end, while the 8” PowerCore intake air filter (also available with dust ejector) and oversized radiator pack ensure extended service intervals. The superlative efficiency typical of a mechanical transmission is offered in two variants. The first, with a top speed of 30 Km/h, is based on a 4 speed gearbox and is available in configurations with 12+3 speeds or 8+8 ECO speeds. The second consists of a 5 speed gearbox and 3 ranges (15+15 speeds or 15+15 ECO speeds), for a top speed of 40 Km/h which is attainable even at an engine economy speed of 1800 rpm. 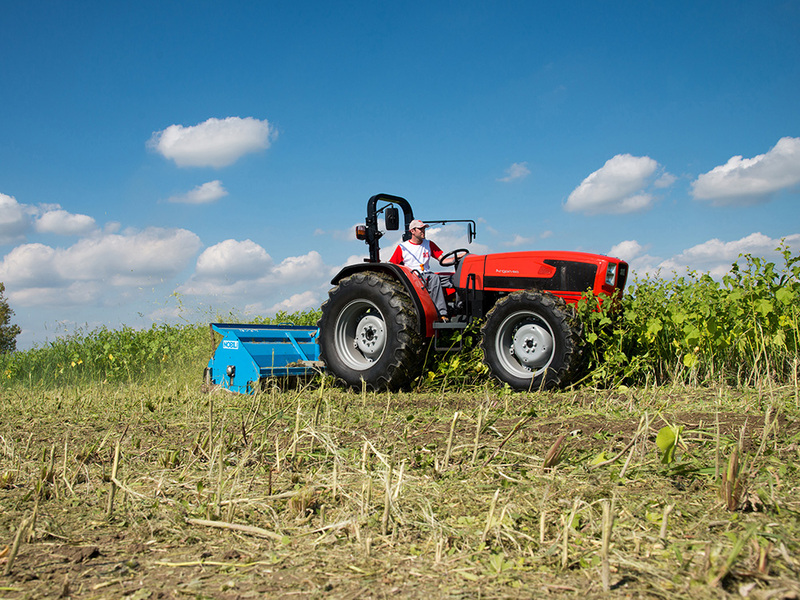 In the lowest ratio available, the tractor moves at a ground speed of just 298 metres/hour at maximum engine speed. Both front wheel drive and the front and rear differential locks are operated electrohydraulically as standard on 40 Km/h versions. 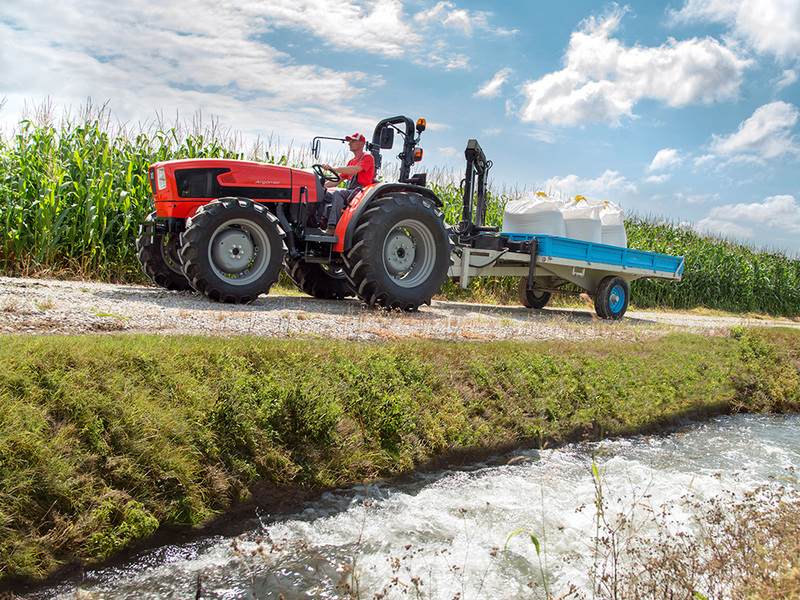 For safety and reliability even in the rice paddy, these tractors are equipped with special watertight seals. 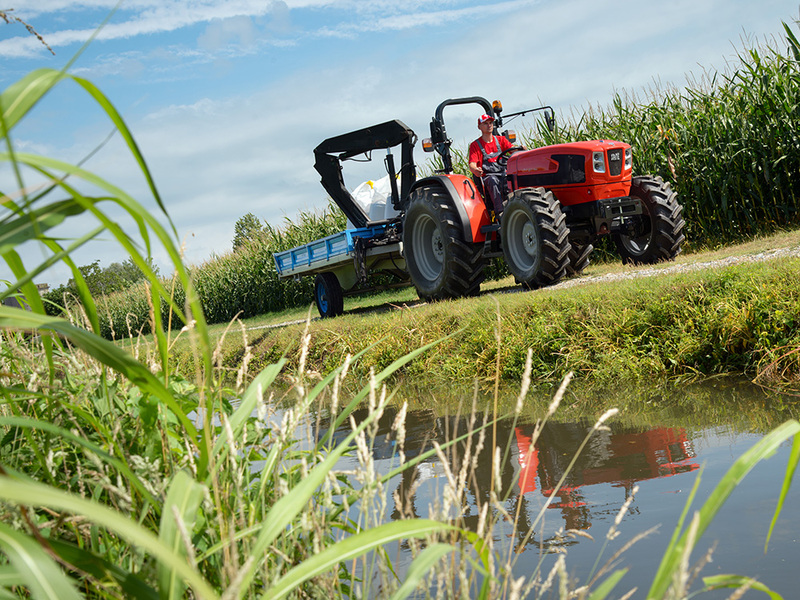 With a potent rear lift (with a maximum load capacity of 2500 kg at the lower link ends, which may be increased to up to 3500 kg as an option), combined with a PTO available with up to three speed modes (540/540 ECO/1000) and a hydraulic system with a maximum flow rate of 42 or 50 l/min (with up to 6-way mechanically controlled distributors), the new Argon tractors are multi-role machines suitable for a wide variety of agricultural applications. A dedicated gear pump, fitted as standard, ensures impeccably smooth hydraulic steering action even at minimum engine speed. The revised driver zone is now even more comfortable with a lower profile centre tunnel, while the controls, featuring the tried and tested SAME colour-coded scheme, are even more comfortable and simple to use. 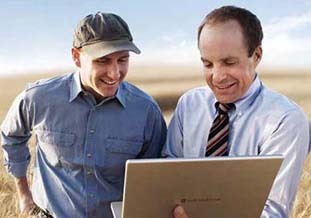 The new digital instrument cluster integrated in the dashboard provides the driver with complete, clear and immediately legible information relative to the state and functions of the tractor. A two-pillar rear roll-bar is available to protect the driver. This may also be fitted with a practical optional sun shade. 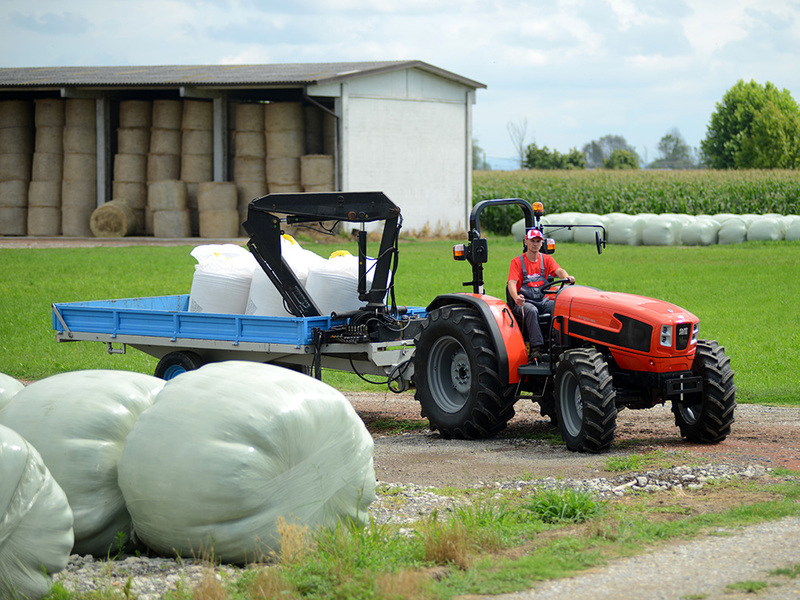 Up to 360 kg may be added to the rear wheels with optional, modular, ring-shaped ballast weights, while suitcase ballast weights may be applied to the front of the tractor for a total weight of up to 240 kg (+ 20 kg for the ballast carrier).